Though juggling studying with working full-time seems a daunting task but thousands of students have proved this is not only feasible but, in fact, quite manageable. Here we bring you the top tips on how to study effectively along with pursuing a full time job. Nowadays, most of the people prefer to continue their studies while working a full time job. Continuing learning qualification is a must to flourish in today’s developing industry. Studying for an additional qualification can give you the next much-needed step on your career path. But when you are about to give it a start you are often caught into a dilemma whether you will be able to handle both your job and studies at the same time. Actually, there’s nothing impossible about it unless you give it your best efforts. Handling a full time job and your studies at the same time requires a good level of planning and prioritisation. Why to study while working??? Though learning qualification and working simultaneously can prove to be a nerve wracking ordeal still you can't ignore the benefits the education comes up with. Study while working can earn important credentials to your professional profile, can beef up your resume, prove your proficiency, or simply help you stay up-to-date on changes within the industry. Doing a job makes you stand independent whereas study helps you achieve your dream goal. For example when a diploma holder picks up a job and continues pursuing the degree course then along with earning bucks, he is definite to get a boost in his job profile when his degree course gets completed. So if you are the one among who take the challenge to take two jobs parallel then thumbs up to you. Though juggling studying with working full-time seems a daunting task but thousands of students have proved this is not only feasible but, in fact, quite manageable. For this all you need is the time management and dedication to your studies. Studying the whole syllabus in just a single or two days is not an act of wisdom. Rather, you need to split up your reading into weekly intervals. Give it a check on the syllabus you have to learn and then divide the same into some sections and calculate the number of days it will take to finish each section. Breaking the reading down into small chunks will give you a sense of accomplishment everyday and will help you avoid the frightening feeling of under prepapred right before the exam day. For a distance learner it is the most important step to list down his daily tasks on priority level and take out enough time to sit for studies. Anyone has gone through a situation where they had to figure out how to perfectly organise their tasks in a time frame. But once becoming you have chosen to take your work and studies parallel you will sooner or later learn the act of prioritising your life routines, starting from the effort to come back home from work and wrapping up your house chores as quick as possible, limiting your leisure time activities and adjusting to the weekend routine. Secondly you will have to learn how to manage or organize your in order to succeed. Prepare the notes on what you read. But keep in mind your notes should be short and catchy enough to make you go through the important concepts. Avoid writing down every word, because you will get too far behind and miss out on key points. Rather write them in your own way of abbreviating words. Short and handy notes will be easy to carry so that you can revise your learnings whenever and wherever you find a free time. Also, write your notes in outline form, because it keeps them organized and easier to review later on. 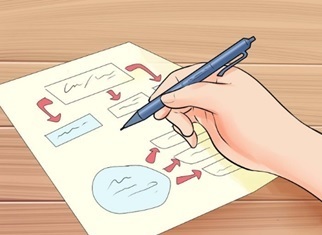 Moreover, make it a habit to review your notes after class as it gives you the chance to clarify them while everything is still fresh in your mind. Schedule your time to as per the academic requirements. 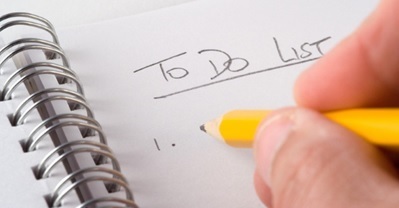 Make an effective time plan to complete your assignments as soon as you receive them. Ensure that you don’t work till late in the evenings before a big project is due or an exam is scheduled. 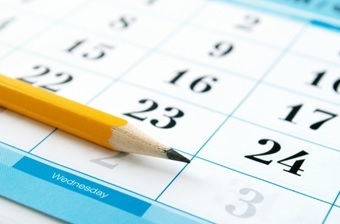 Point the important days and dates in your calendar at the very starting of your term. Most appropriate way of learning is to study for an hour or two either right before going to the bed or after getting up early in the morning. Try to stick to the study plan you have made. For example, never pick up a shift that will cut into time you intended to study, unless you know you can make up that study time the next day. You will need to make some sacrifices every day in order to complete your study course. 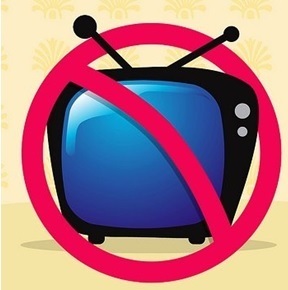 For example you’ll have to quit watching your favourite daily soap on TV. Sometimes you will have to say a no to your friend to accompany him for an outing. You will have to keep your phone away so that you are not engaged in chatting with friendz or watching videos on YouTube for long hours. You will find it more beneficial to sacrifice tasks that could have affected your study time and will find it easier to complete the predetermined sections of syllabus. If you can’t make it to pursue a degree program through distance learning than taking some online certification course can be lucrative at the same time. An online course can act as a boost to you're already impressive profile. Take up the courses that can help in adding to you're experience on the field. Some of the most productive online certification courses include: Software and programming certificates, Information technology certificates, Business certificates and diplomas and Communications and journalism certificates. 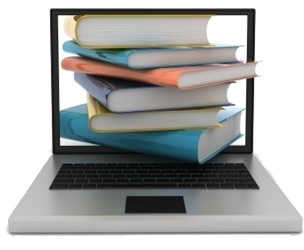 Some of the top online learning sites are: edX, simplilearn, FreeEdNet, Alison, Udemy, Khan Academy. Though you must be caught into a tight schedule of working and studying, still never miss to take a break at least once in a while. Because a break from business is a must to keep oneself constantly fresh and fully concentrated on both work and studying. 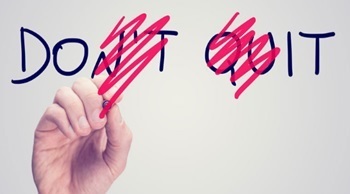 Many a times you are obvious to come across a situation when you will feel extremely tired and there might even come a thought of giving up either the studies or the job. 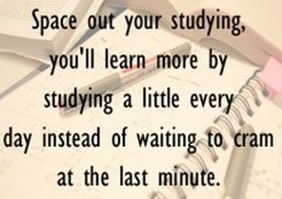 Therefore, keep in mind both studying and your job are equally important. All you need is to allow yourself some time to relax, even if for half an hour each day. 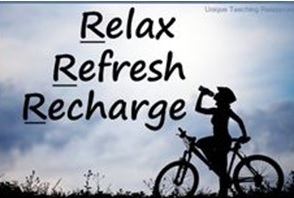 Most times, logging off from your daily routine and taking out a time to relax will have a drastic positive effect on your overall energy and efficiency once you get back to your job or study activities. Whenever you feel fed up of juggling with the job and study, take a minute to remind yourself of the goals you have set after the completion of your study course. Question yourself if why are you studying for the qualification. Continually take time out to remember what another step this qualification can help you to move up in your career path. Motivation will keep you working hard and help you to take the time to sit down and study. # how to study while working full time.